Peanut butter and local chicken. Both should be zero-rated because there are not enough protein foods in the current value-added tax (VAT) exemptions – and stunting among children is reverting to almost 1993 levels, according to researchers. This emerged before the finance committee on Wednesday in one of the economic debates in Parliament. In the other debates in the House later in the day, it was mostly politicians’ hot air. That South Africa is in the economic Doldrums is trite. The question has always been what to do about it, particularly as State Capture diverted tens of billions of rand from the public good and flailing tax collection left a R48.2-billion hole in the national coffers. There’s a pushback from civil society and trade unions: citizens, particularly the poor and low-income earners, could not be made to pay for State Capture, corruption and lack of accountability. At Wednesday’s finance committee meeting, the focus was on mitigating the negative impact of democratic South Africa’s first ever Value Added Tax (VAT) increase, from 14% to 15%. Although the VAT hike came into effect on 1 April as Budget 2018 was announced, Parliament has until later in 2018 to pass the relevant tax draft legislation linked to Budget 2018. This time lapse opened the window for consultations at various levels – and in the national legislature Wednesday’s finance committee meeting was round four. There wasn’t much on the table. White bread, white and cake flour, nappies, sanitary products and school uniforms are the proposed additions to the 19 existing zero rated items, including mielies, rice, brown bread, eggs, milk, vegetable oil, lentils and tinned pilchards. But MPs were told of proposals that would collect billions of rand without punishing the poor and low income earners, including a 25%-plus luxury tax, cutting VAT from water and electricity at least on a sliding scale to benefit the poor, to a carefully motivated list of 66 zero-rated items that would impact positively on poor and working class households. Peanut butter emerged a favourite – “an excellent source of protein and good fats” – in the absence of chicken as a zero-rated food is how the Pietermaritzburg Economic Justice & Dignity described it to MPs of Parliament’s finance committee in a push to broaden the list of zero-rated foods. Others agreed. But really, the call was for chicken to be included in the list of zero rated foods – be it frozen, fresh, whole and bits. Cosatu said zero rating chicken would support local producers, but also ensure access to better food nutrition for poor and working class families hard hit by a series of negative economic factors, from retrenchments to petrol price hikes. The Budget Justice Coalition, representing eight civil society organisations, argued poultry was a major source of protein for poor and low-income households. “South Africa’s high and increasing stunting rates for children under five and high rates of iron deficiency in pregnant women (26%) indicate a need for increased access to foods high in protein,” said the coalition’s written submission. The coalition’s written presentation showed 27% of children under five were stunted in 1996, a reversal of gains made since 1993 when levels of stunting stood at 30%. Stunting is the impaired development of children because of poor and inadequate nutrition, according to the World Health Organisation, with a series of consequences like poor cognition and educational performance. 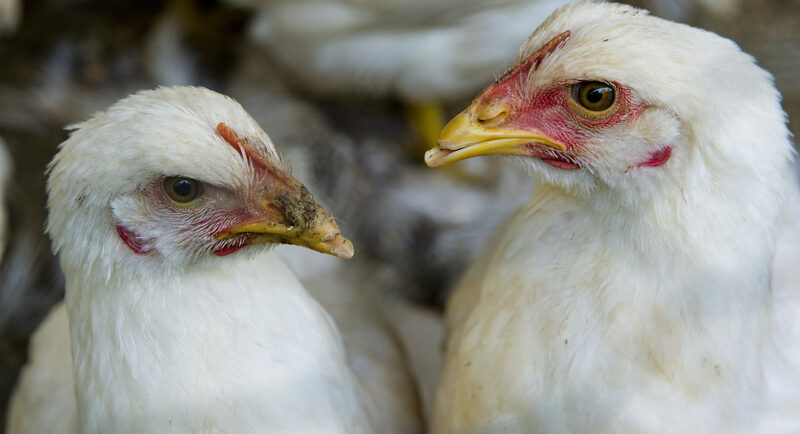 Unsurprisingly, the South African Poultry Association is supporting the zero rating of chicken, a move the group argued could see as many as 11,000 new jobs. The association’s only caution: government needed to put in place mechanisms to ensure retailers passed on the VAT benefit to consumers. Depending on what kind of chicken was zero-rated – definitely not including skinless chicken breasts or spiced and smoked products – the loss to the VAT revenue would range between R1.3-billion and R1.9-billion. That’s about 8% of the R23-billion that the April VAT hike to 15% was meant to generate. And it’s pretty close to the R2.1-billion the independent panel appointed in April by Finance Minister Nhlanhla Nene estimated it would cost to zero rate individual quick-frozen chicken. Frozen chicken was discussed, but didn’t make the list. The panel agreed on its nutritional importance, but there was other stuff that mattered more. Zero-rating individual quick-frozen chicken could have “a perverse impact” by enabling dominant firms “to capture the benefits of lower taxes and effectively subsidising imports”. Price fixing had happened before in 2012 in the Western Cape and “there is no indication that such market conduct would not recur…” according to the panel’s Recommendations on Zero Ratings in the Value-Added Tax System report. There were discussions on concrete proposals in committee. Not so much in either of the two debates of urgent national interests in the House on escalating fuel prices and economic revival after the recession. Coincidentally, Deputy President David “DD” Mabuza does not believe South Africa is in recession, technical or otherwise. A few hours later, Mabuza’s confidence was countered by DA leader Mmusi Maimane’s electioneering. Opening the first debate on an urgent matter of national public importance, the one on post-recession economic revival, Maimane put options in stark 2019 electioneering choices of ANC vs DA. The sweeper, the parliamentary lingo for the last person to speak in a debate, Finance Minister Nhlanhla Nene, called Maimane out. “I was so looking forward to hearing the ideas… A good topic, Honourable Maimane, but you actually didn’t even bother to talk to it,” Nene said, adding later that nothing new had been raised aside from the usual DA hobby-horses such as privatisation. “This is not the time to despair. This is the time to remain resolute,” said Nene. On the fuel price hikes, agreement crossed the floor – higher fuel prices were not helpful in the current economic climate and put cash-strapped citizens under further pressure. The question was what to do about it. For the governing ANC, there’s little but recounting of the international crude oil prices at the mercy of global geopolitics and currency fluctuations, as outlined by Energy Minister Jeff Radebe. IFP MP Mkhuleko Hlengwa, who proposed the fuel price debate, said this could not continue. And while South Africa may not be in control of crude oil prices, the country was in control of what to do about it, argued Hlengwa, calling for the suspension of the fuel levies – and for Parliament to assert its role to start the process of restructuring the energy budget.